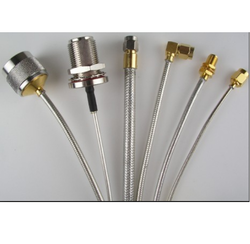 Prominent & Leading Wholesale Trader from Vadodara, we offer amphenol stainless steel n type male connector and rf cable connectors. We are engaged in offering a huge array of RF Cable Connectors. These superior make RF Cable Assemblies are being precisely engineered by our renowned manufacturers. They take into consideration the latest trends and standards set by the industry and fabricate these RF Cable Assemblies accordingly. We offer these RF Cable Assemblies at a competitive price range to gain total client satisfaction.